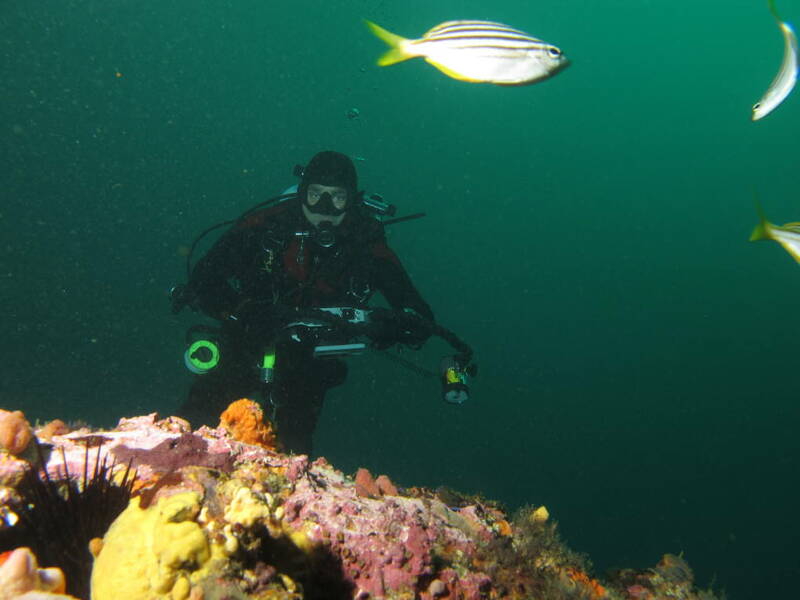 Plan was for a club deep dive on the Kelloe, but the seas were against us. 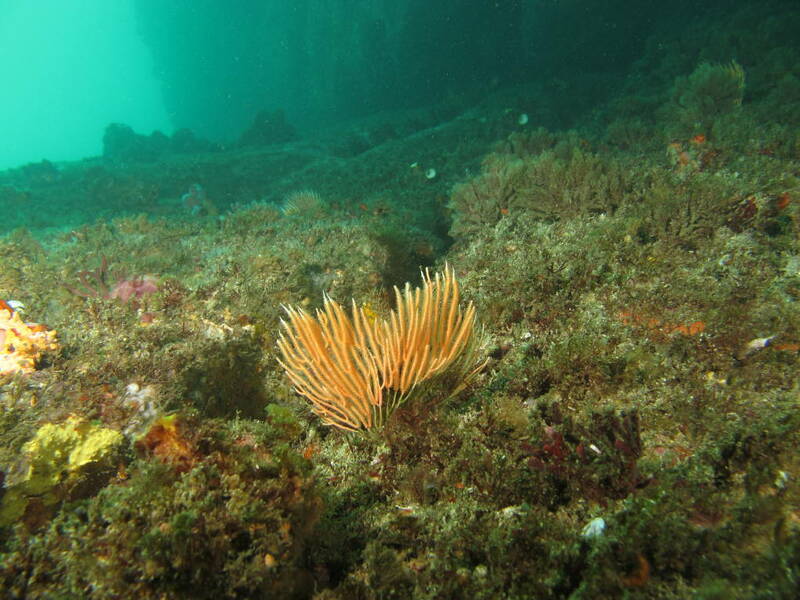 After aborting the Kelloe we took a look at M & K Reef, again to much swell for Twin Tanks, so we headed inside Botany Bay to the Leap. 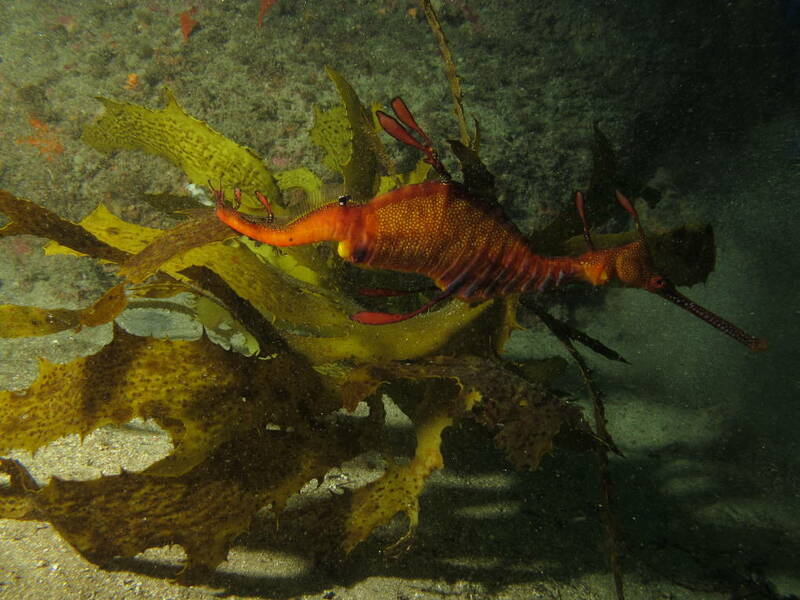 Swell light, conditions looking good. 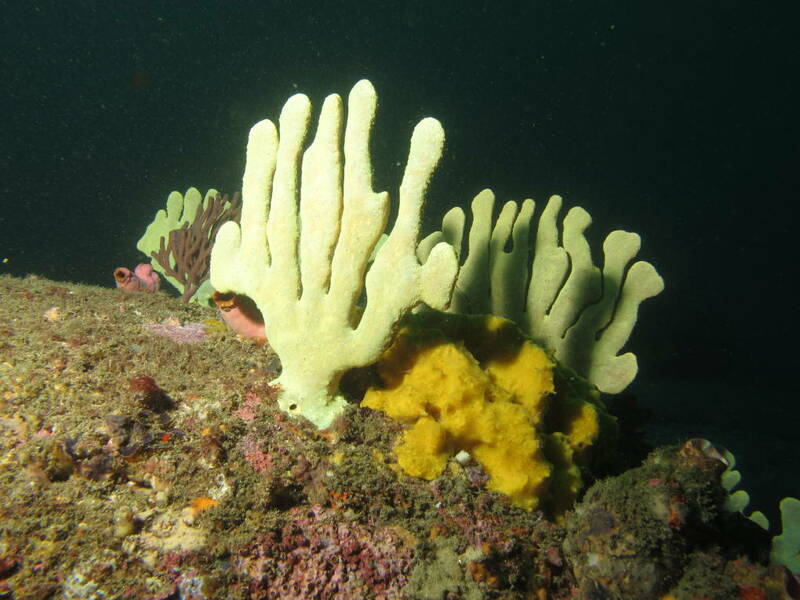 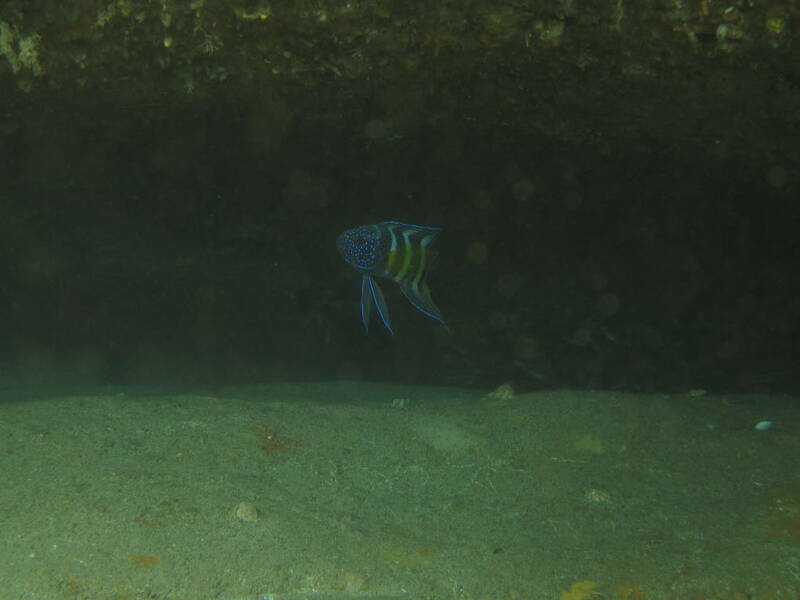 The water was very milky on the way down but at 8m it cleared up with 15m vis on the bottom. 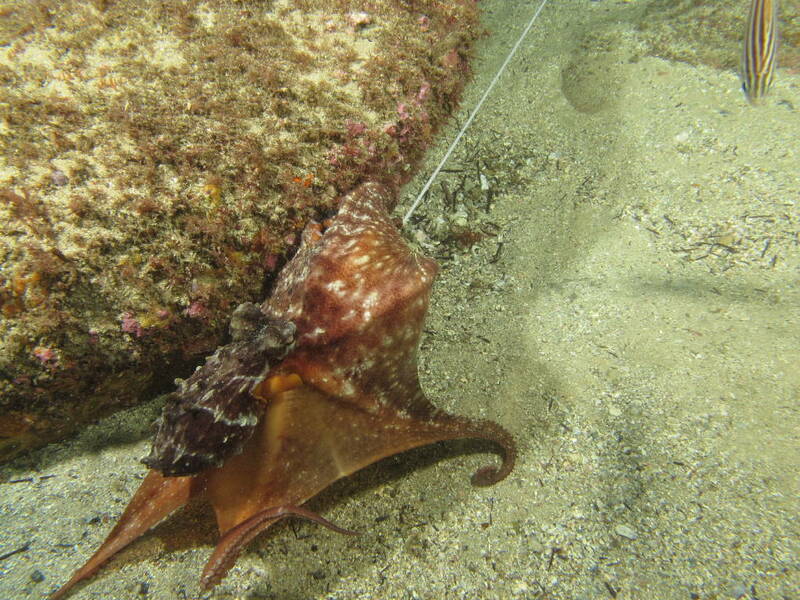 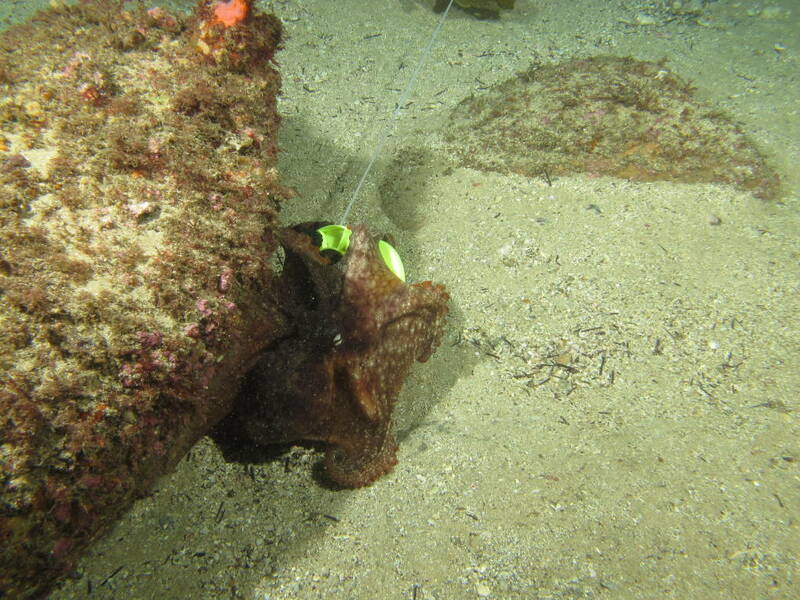 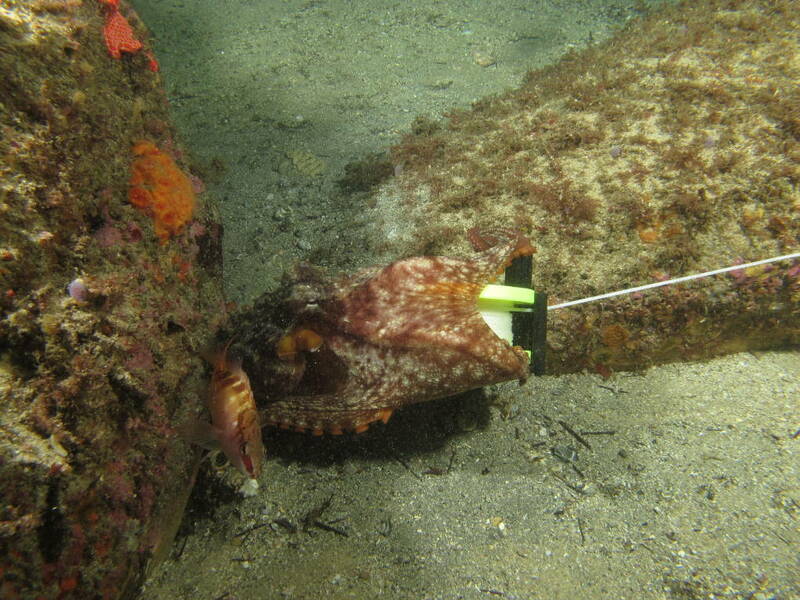 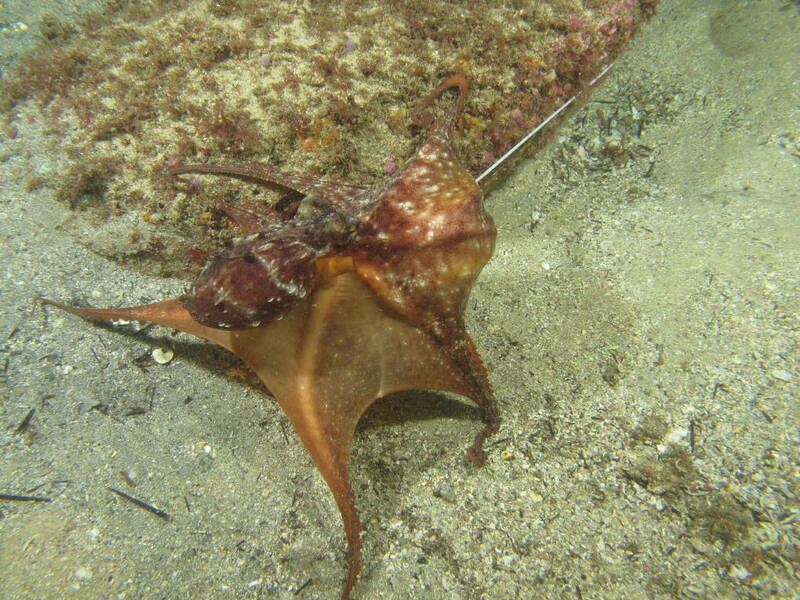 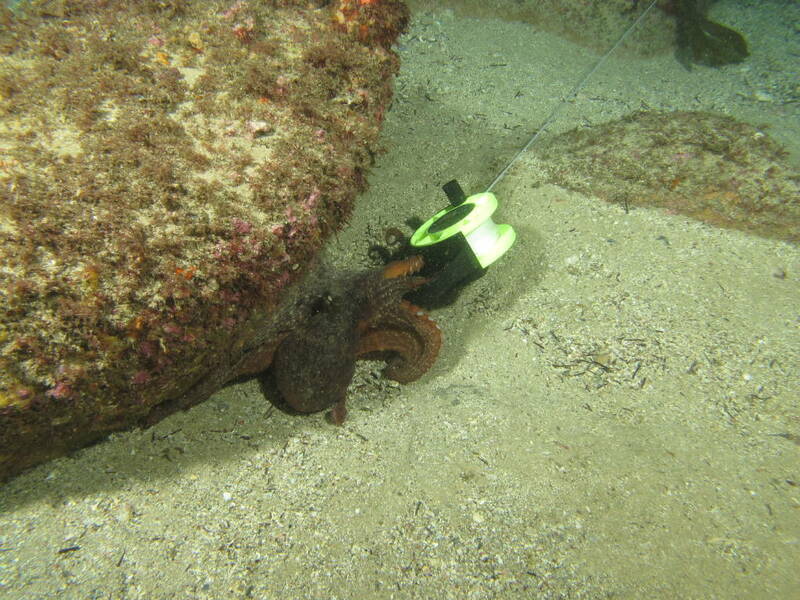 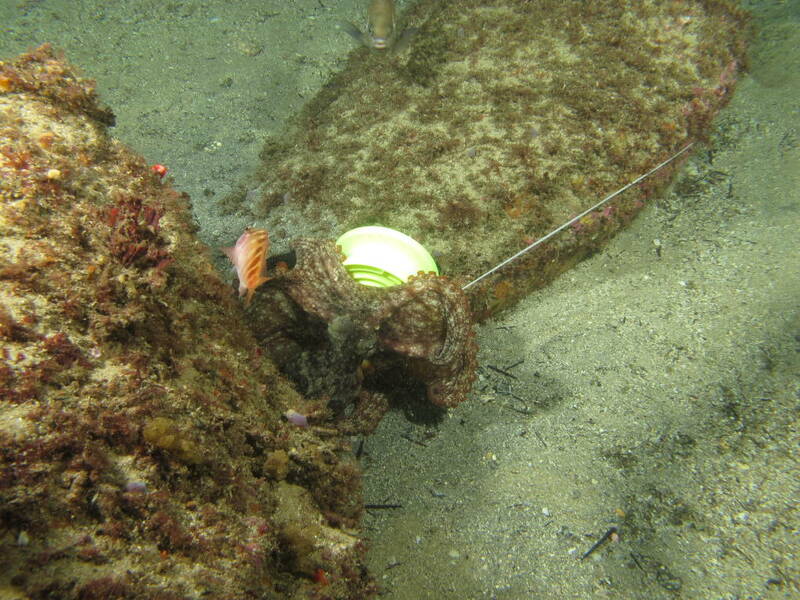 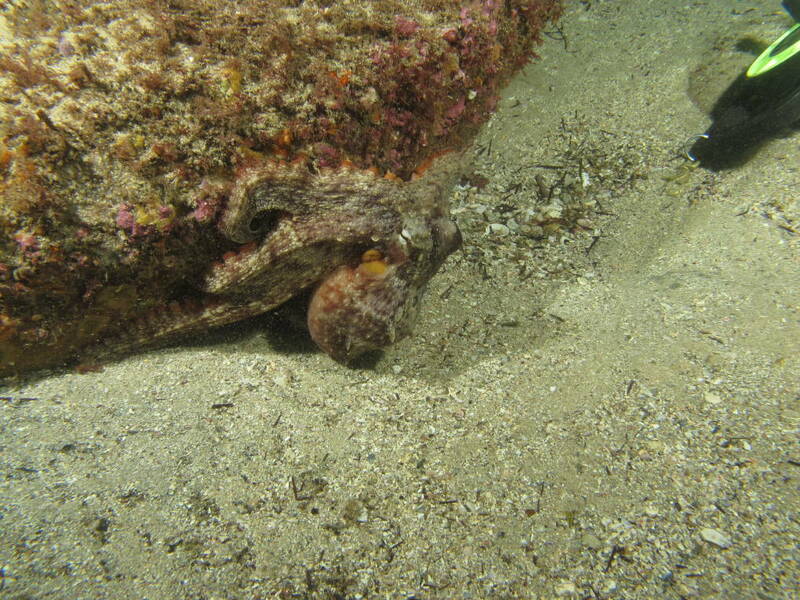 I ran a reel out to the sand line and found a very curious Octopus, he/she wanted my reel. 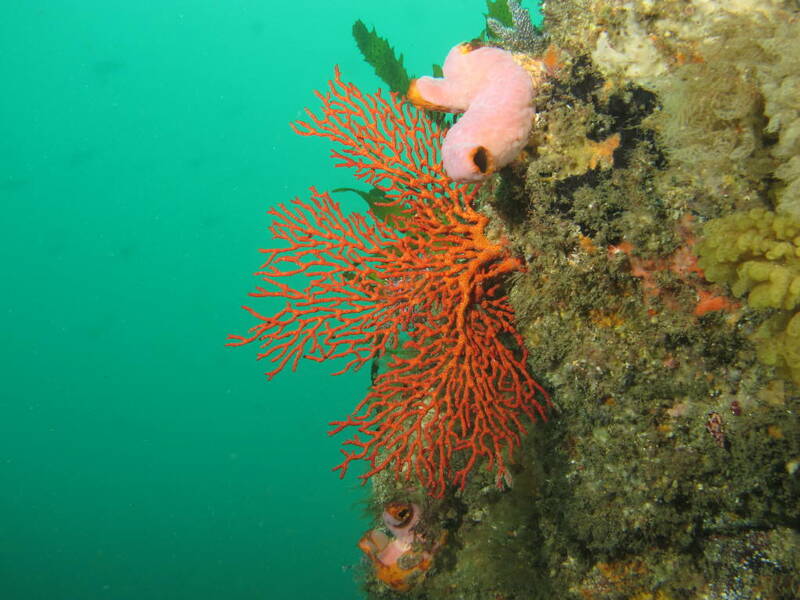 The conditions cleared up a bit so for our second dive we headed for the Whale Watch Platform. 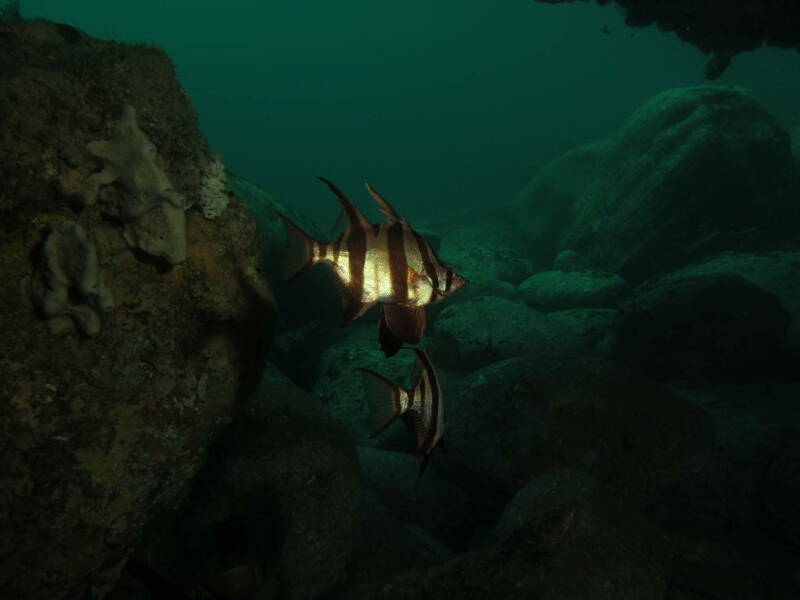 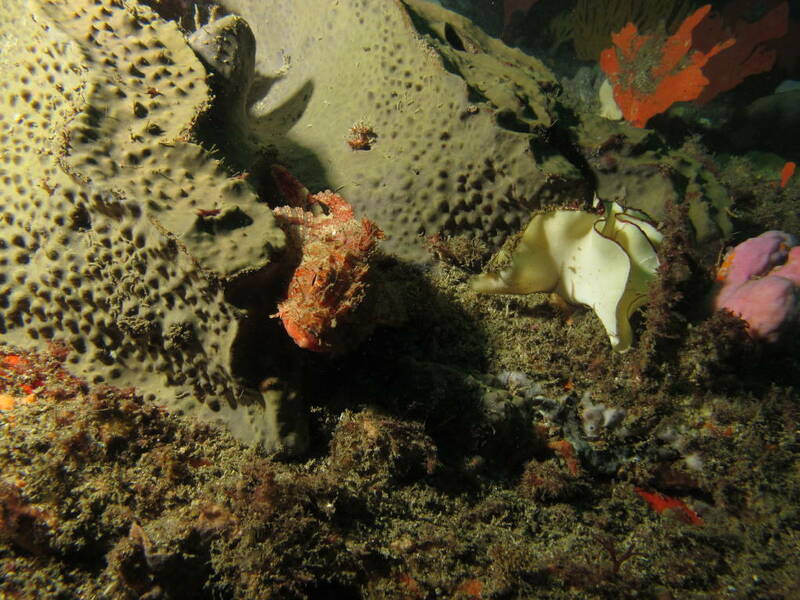 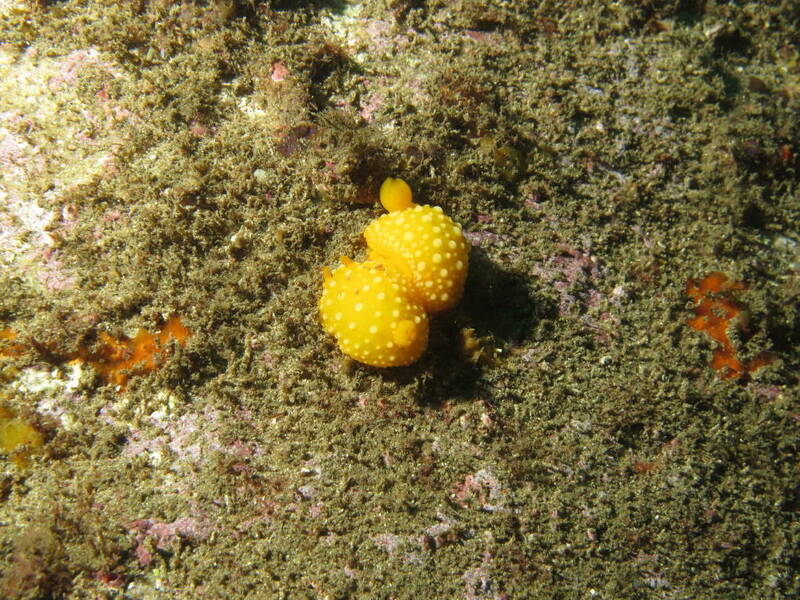 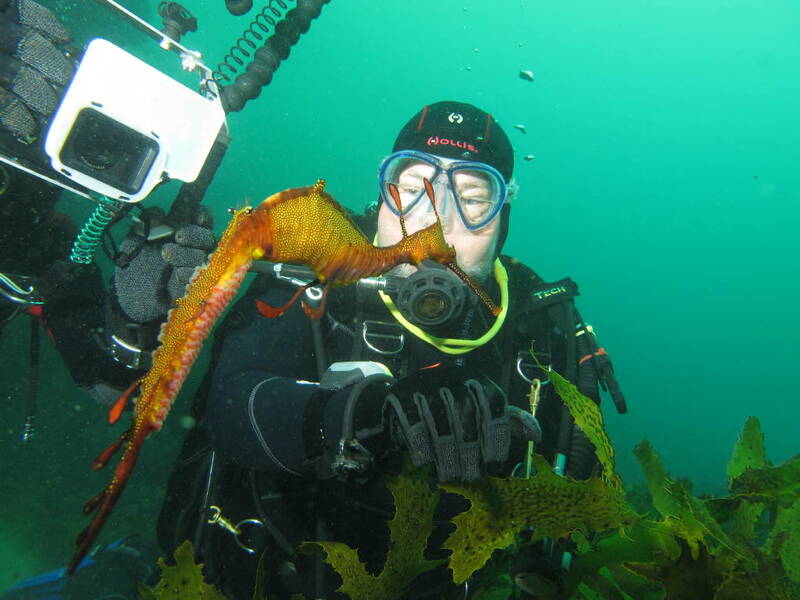 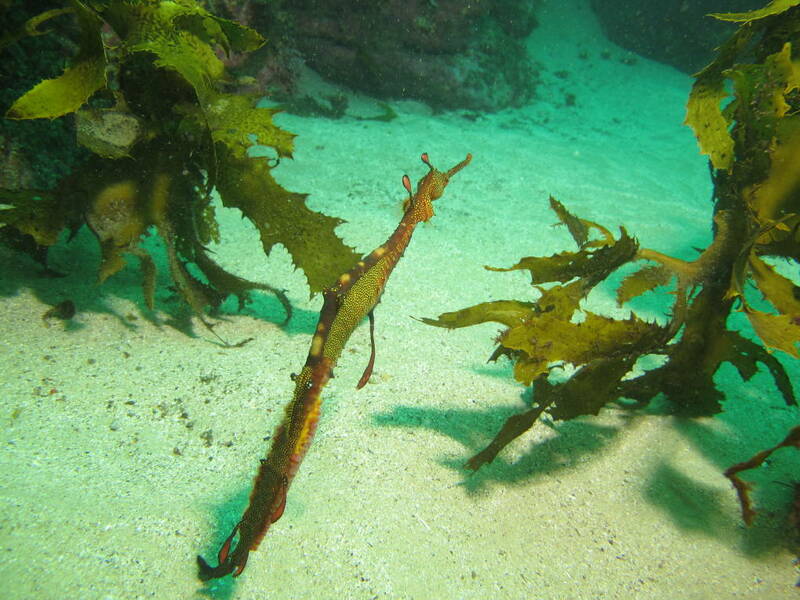 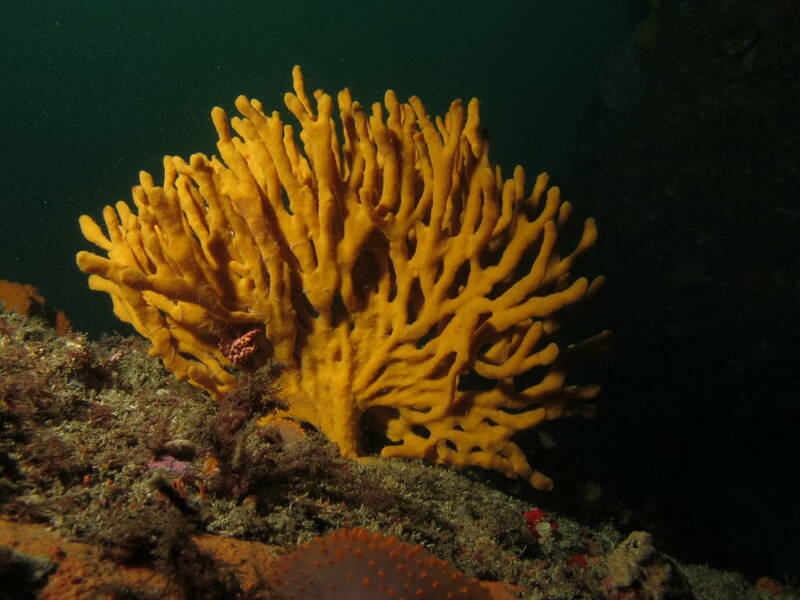 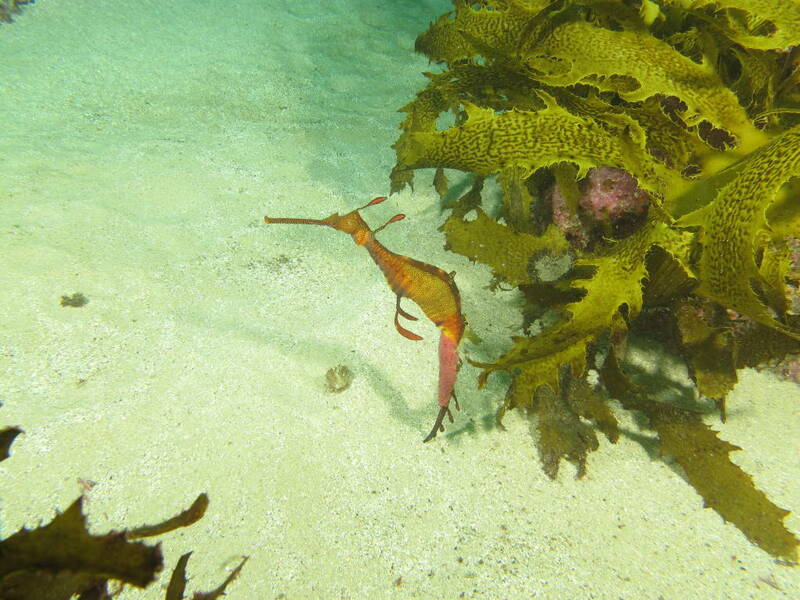 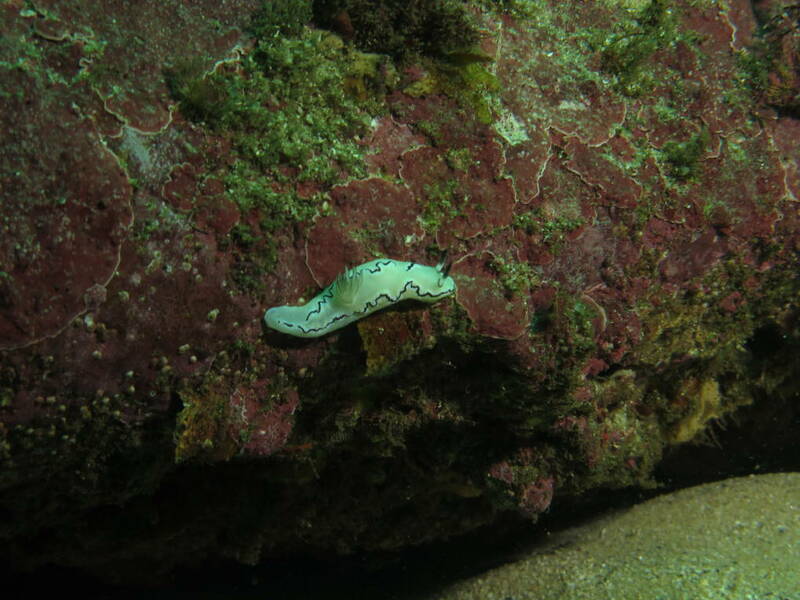 A small Blue Devil was in the cave and a Weedy carrying eggs amongst the kelp.